The resurgence of the Campaign Furniture style has recently taken the woodworking world by storm. The combination of clean lines, incredibly strong joinery, and the regular use of brass, leather, and copper create a style that is both attractive and long lasting. One of the more recognized pieces in the Campaign Furniture lineup is the Roorkee Chair. Prominently featured in "Campaign Furniture" by Lost Art Press, the Roorkee Chair has made the must-build list of woodworkers across the globe. Our leather packages are made for those who want to tackle this project, but may be apprehensive about taking on the leather portion of the build. 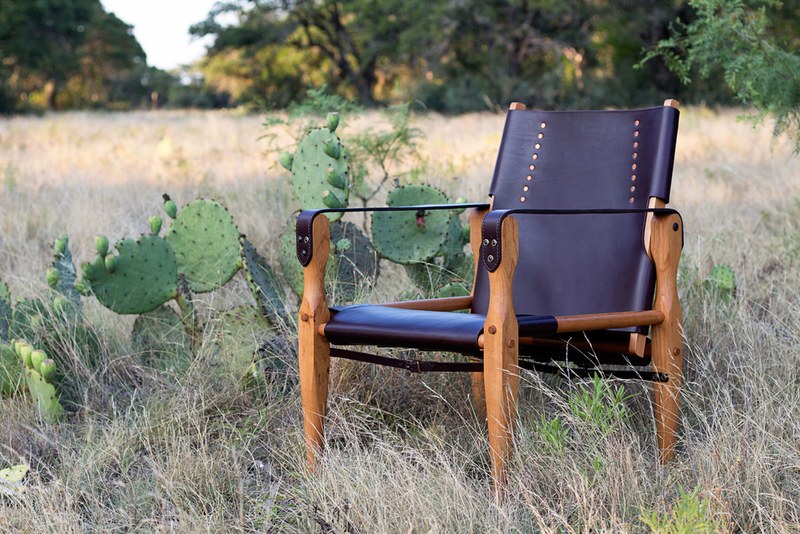 The leather package includes all of the leather and hardware needed to complete your own Roorkee chair. All you need to do is provide the wood and turn those components. If you build the chair per the instructions in the Campaign Furniture book, the leather will fit with no issues whatsoever. If you decide to deviate a bit from the dimensions in the book, let me know and we can work on a custom package for you. Each leather package includes nine solid Brass buckles, with your choice of shiny or antiqued finishes. All of the buckles and straps are secured with hand peened Copper rivets. The straps are all adjustable, allowing you to compensate for any stretching that may occur over time. Each arm of the Roorkee chair is made with two layers of leather, hand stitched together using the traditional Saddle Stitch technique. By utilizing this construction method, stretching of the arms is almost eliminated over the life of the chair. We use high quality English Bridle Leather from Wickett & Craig, a North American tannery founded in 1867. We currently have access to Chestnut, Burgundy, Dark Brown, and Black leathers. A variety of thread colors are available for the hand stitched arms, once we reach that part of the build process we will contact you about the color choice. As soon as the materials arrive, it will take approximately 4 weeks to complete.